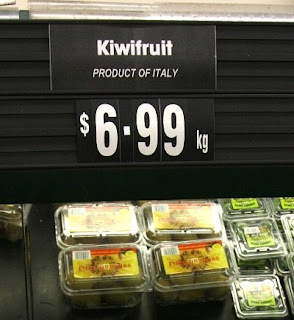 "These are kiwis. They are not ripe yet, but it looks as if it will be a good turn out this year. They will be ready for harvest by May." 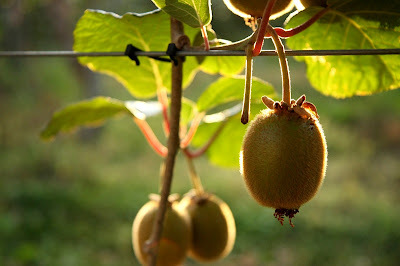 Right behind our home for the next two days, in Motueka, there is a kiwi plantation. The lady who showed us the room also added some interesting tibits on the local produce. Tomorrow we are going to have our Abel Tasman experience. After talking to the local experts, Regula has become convinced that the boat is the only effective way how we can explorer the park. The tour operators assured us that the boat is very stable and that the weather tomorrow will be excellent. Sweet hopes.